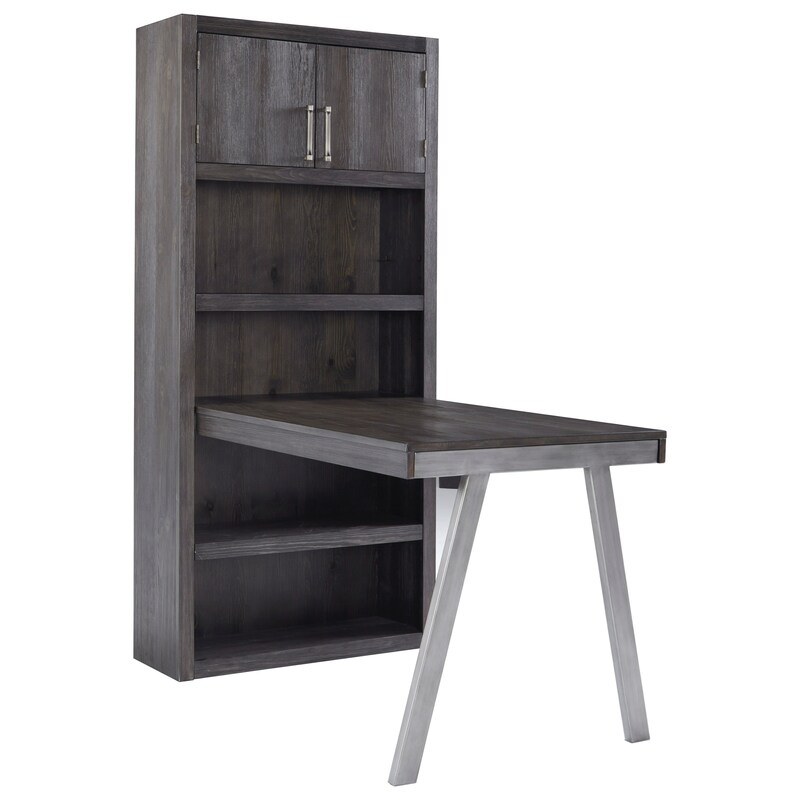 Consisting of a contemporary desk return attached to the large bookcase, this unique offers a lot of storage in a compact footprint. The bookcase includes adjustable shelves and storage space inside two doors. The contemporary style of the return with its nickel finish metal legs complement the grayish brown finish of the wire brushed pine veneers. The metal frame edge is exposed at the end of the return for an added contemporary detail. Outfit your home office space with this functional work space. The Riverway Contemporary Metal/Wood Desk Return & Large Bookcase in Grayish Brown Finish at Ruby Gordon Home in the Rochester, Henrietta, Greece, Monroe County, New York area. Product availability may vary. Contact us for the most current availability on this product. 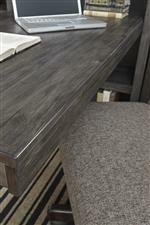 H467-17 Large Bookcase 1 33.88" 13" 74"
H467-14 Bookcase Desk Return 1 56.25" 30" 30.63"
Case Construction Made with wire brushed pine veneers over engineered wood and finished in a grayish brown coloration. Desks feature metal bases with a hand applied warm tone padded effect over a nickel colored base. 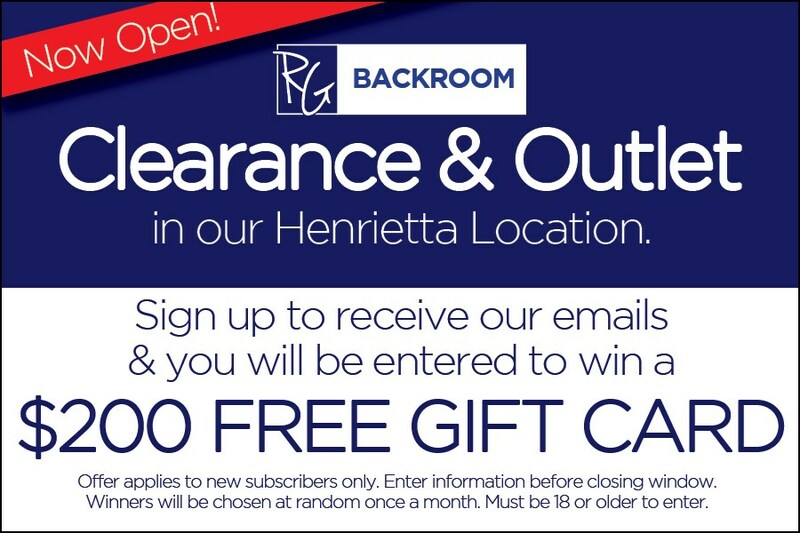 The pieces available in this home office furniture collection are perfect to mix and match, depending on the needs of your home office space. You will love the versatile function and contemporary style of each piece. The Riverway collection is a great option if you are looking for Contemporary furniture in the Rochester, Henrietta, Greece, Monroe County, New York area. Browse other items in the Riverway collection from Ruby Gordon Home in the Rochester, Henrietta, Greece, Monroe County, New York area.